On going slaughter of birds of prey in Lombardy, Italy. 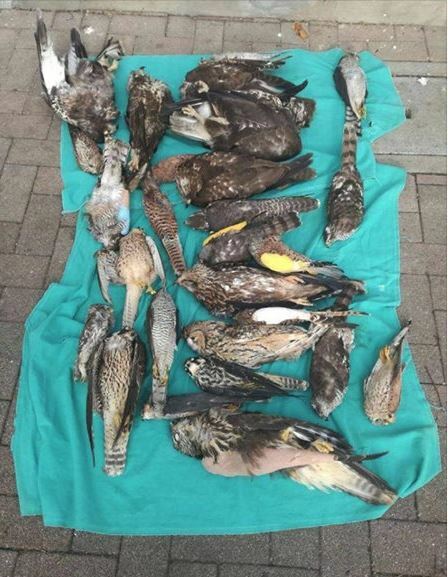 Shocking result of the hunting season in Lombardy, Italy: Since the beginning of the official hunting season in the middle of September, 40 shot birds of prey and owls have been taken to the rescue centre of our friends from the WWF in Valpredina (Bergamo / Northern Italy). 29 died: 8 kestrels, 7 buzzards, 5 goshawks, 4 sparrowhawks and one hobby, peregrine falcon, black kite, little owl and a long-eared owl (see photo). The birds come almost exclusively from the provinces of Brescia and Bergamo. The perpetrators – mostly licensed hunters – target the legally protected birds of prey, because they ‘disturb’ their songbird hunting with live decoys. Goshawks and sparrowhawk will repeatedly try to capture the thrushes and larks kept at the hunting lodges. 1 comment to On going slaughter of birds of prey in Lombardy, Italy. Thank you for bringing this to my attention – I was aware of the slaughter of birds of prey during their migrations in Malta, Cyprus and Lebanon. I now suspect that those raptor shooting hot spots are just the tip of the iceberg. 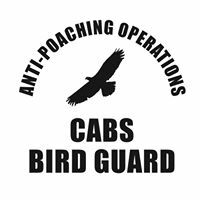 Surely EU countries at least can be policed more effectively although our own track record of policing is woefully inadequate to the detriment of our raptors too. Editor’s comment. Alastair, from my experience working on red grouse moors here in the north of England (the total extermination of ‘protected raptors’) we have nothing to be proud of, the situation in my opinion is as bad if not much worse here as in the countries you have highlighted.